Experience the Redwood Coast at the Pink Lady, A California Icon. This late 1800s mansion was recently refurbished as a Vacation Rental and Private Event Venue. 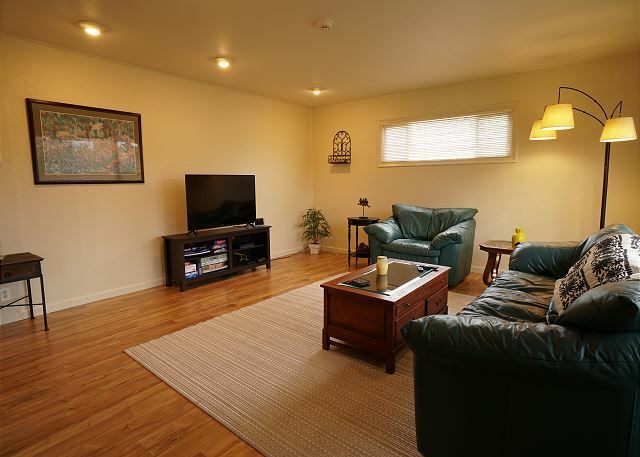 Situated in Old Town Eureka on the Humboldt Bay, with 4 bedrooms 2 and 2 ½ bath, sleeps 10! 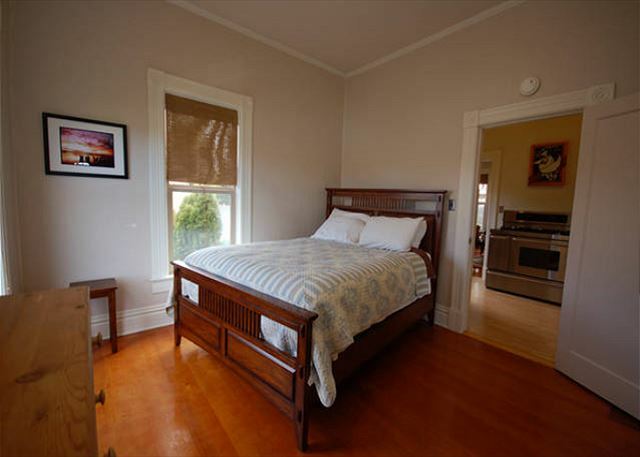 This Furnished Corporate Rental Apartment in Eureka, Calfiornia is on the second floor of an large old Italian home. The house was once a restaurant serving the community until it was later made into private living quarters. 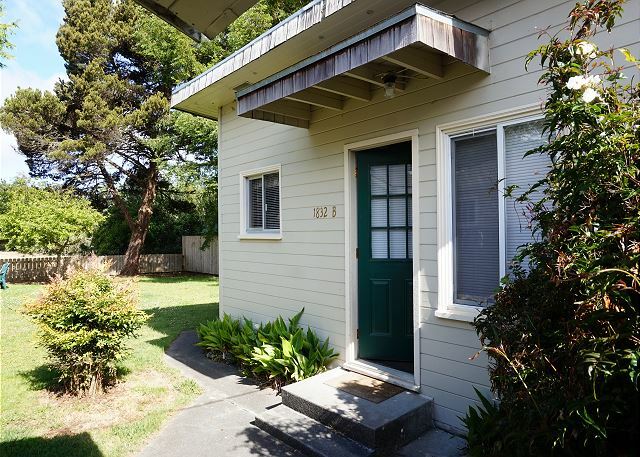 Beautiful one-bedroom furnished cottage in Eureka near St Joseph’s Campus, Golden Breeze is a newly refinished accommodation with a fresh design and updated amenities. 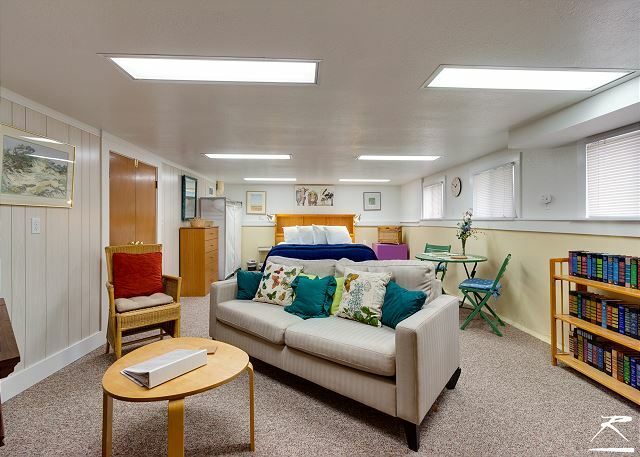 Mellow Montgomery is a cozy one bedroom, one bathroom unit tucked into the redwoods near one of the outskirts of Eureka, but still within walking distance of shopping like Safeway and CVS as well as St Joseph’s Hospital. 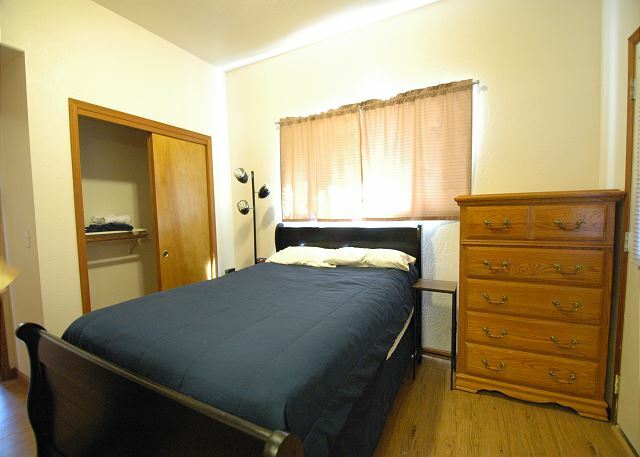 Shaw Studio near St. Joseph's Hospital - 30 day minimum stay. It is set back away from the road to provide a peaceful place to rest. There is a shared back yard to enjoy a little bit of the outdoors and laundry machines in the neighboring building. The Cute little 3 bedroom home is a 30 day minimum accommodation available through northcoastfurnishedrentals.com. Call 707-445-9665 or visit the site for more info. 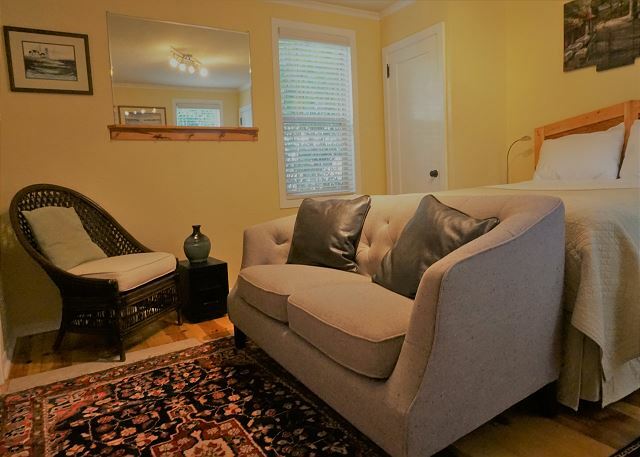 This beautifully appointed, European-style flat in a historic building has been impeccably restored into a cozy home away from home. Its soaring ceilings, tall windows, and hardwood floors make a dramatic first impression for guests. 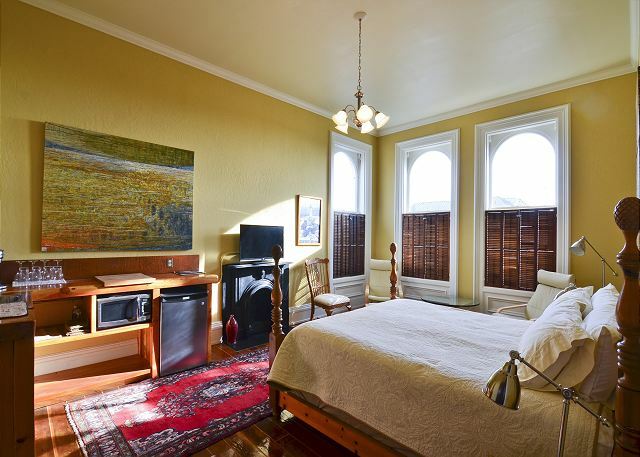 117 West is a boutique hotel room on the second floor of the Victorian-era Buhne Building in the heart of Old Town Eureka, just two blocks from the waterfront and boardwalk. It offer a fresh boutique experience with a shared bathroom. 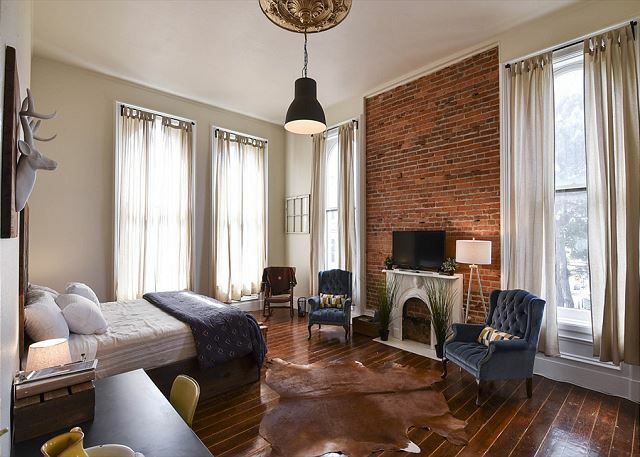 The California Cowboy is a boutique hotel suite on the third floor of the Victorian-era Buhne Building in the heart of Old Town Eureka, just two blocks from the waterfront and boardwalk. It offers a fresh Boutique experience with a SHARED BATH. 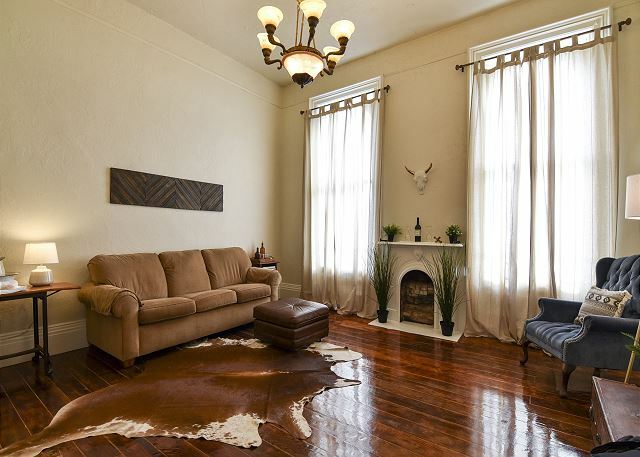 The Wright Mansion Apartment is a cute and cozy daylight basement apartment located just 10 blocks from Old Town. 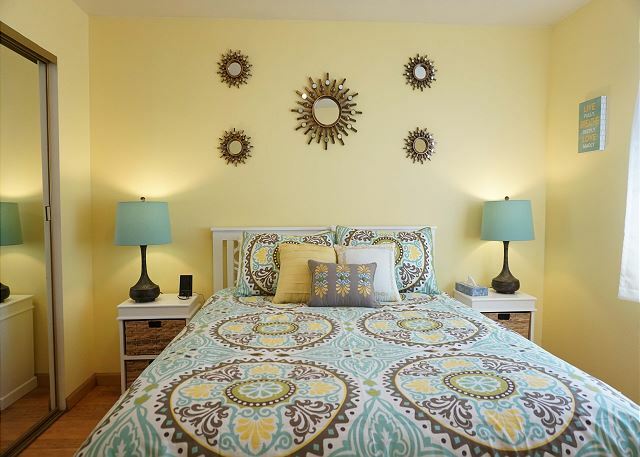 It’s perfect for couple or the lone traveler here on business or vacation. Sleeps 2!